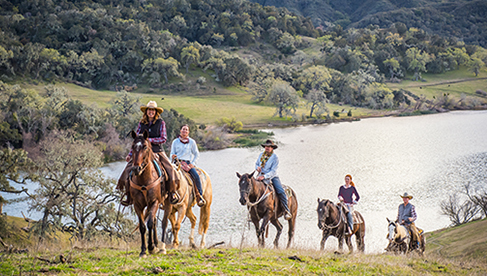 Ring in the New Year with a holiday horseback riding vacation. Here are five of our favorite equestrian destinations with celebrations planned for the upcoming holiday. Still planning your New Year's getaway? Don't worry-there's still time to pick a destination. We've compiled a list of our favorite ranches and equestrian vacation destinations that will be celebrating the holiday. In Granby, Colorado, you can count down to midnight in style at the C Lazy U Ranch's all-inclusive New Year's family vacation. This year the party will feature a live band, dancing, and mechanical bull riding. There's also plenty of fun planned for the nights leading up to New Year's Eve, including carnival games, karaoke, ice hockey, and more. Daytime activities are available for kids and teens, and adults will have their choice of a wide array of winter-time activities, including horseback riding and skiing. If you're afraid to brave the cold, they also have a heated indoor arena. Of course, you can always relax by the fire at the award-winning Lazy U Winter Spa. Runs from December 27th to January 1st. 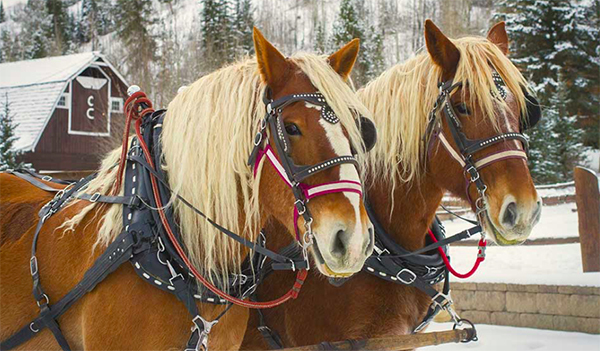 Take a sleigh ride through the snow at C Lazy U Ranch in Granby, Colorado. You can also usher in the new year at The Home Ranch in Clark, Colorado. They are offering holiday vacation packages that include airport and ski shuttle service, exquisite farm to table cuisine, access to 30 km of manicured Nordic Trails, and endless guided backcountry skiing and snowshoeing in a million acre forest. Experienced Nordic ski and snowshoe guides are available, as well as equipment and lessons. Take a leisurely horseback ride through the snow, or wake up early and enjoy a sleigh ride to go feed the horses. There are also hot tubs on each cabin porch and one in the lodge, so everyone can sit back and relax after a hard day of fun in this winter wonderland. Runs from December 27th - January 3rd. The Home Ranch in Clark, Colorado. The festivities continue at The Ranch at Rock Creek in Philipsburg, Montana. Celebrate 'Midnight in Montana' with a day at the Granite Spa, then enjoy a gourmet dining experience created by Executive Chef Josh Drage. But the party really starts later at the Silver Dollar Saloon, which will host a live band, a countdown to midnight, and a magical firework display against the starry Montana sky. 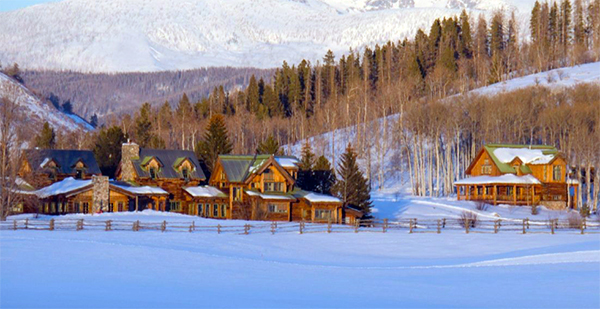 Additional ranch activities include horseback riding, cross-country skiing, ice skating, snowmobiling, sledding, Snow Cat tours, and a variety of additional on-ranch wintertime adventures. Rates are all-inclusive and include luxury accommodations, meals, on-ranch activities, guides, gear, and round-trip transportation to and from Missoula, Butte, and Anaconda airports (upon request). Runs from December 28th to January 1st. 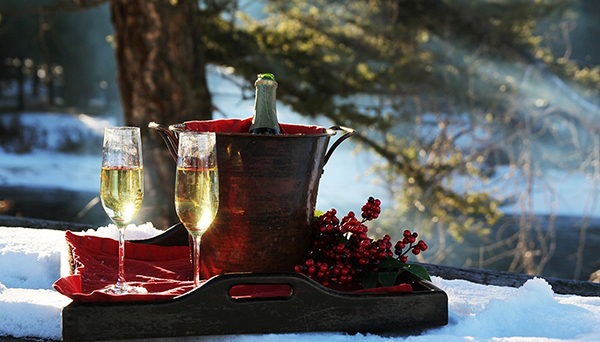 Cheers to 2018 with champagne in the snow at The Ranch at Rock Creek in Philipsburg, Montana. Experience the culture and unique New Year's traditions of Mexico at Rancho Las Cascada's holiday celebration. Their New Year's gathering promises to be a lively night filled with dinner, music, and dancing. In addition to a fireworks show, guests will also experience traditional New Year's rituals, such as ringing bells and eating twelve grapes at the countdown to midnight. The best part? 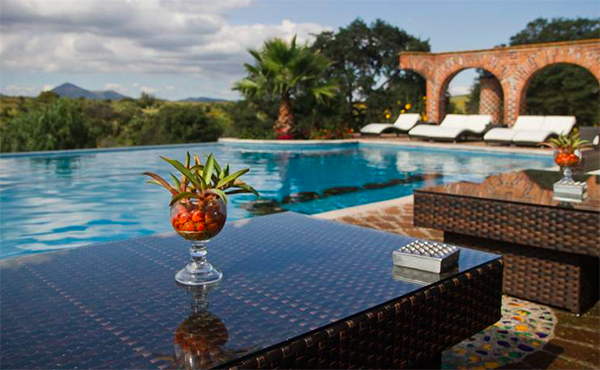 Rancho Las Cascadas offers unlimited horseback riding on 500,000 scenic acres of Mexico's open range. Runs from December 30th to January 1st. Cocktails by the pool at Rancho Las Cascadas in Mexico. For a one of a kind, culturally immersive New Years adventure, you can book an 8-day riding vacation with Costa Rica Explorer. Designed for guests in the U.S. and Canadian markets, this week-long riding vacation boasts over four days of intensive horseback riding. You will discover all that Costa Rica has to offer as you ride through the changing landscapes, including river canyons, volcanic ash beaches, Template Mountain slopes, and more. Guests will have the chance to visit rural communities and experience the Costa Rican way of life. Costa Rica also hosts an abundance of wildlife, so make sure to bring your camera. 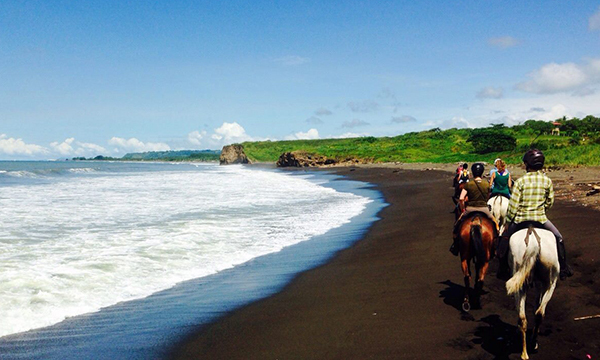 Horseback riding on the beach in Costa Rica with Costa Rica Explorer. 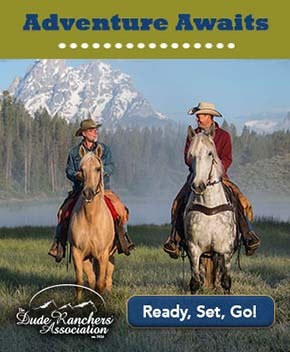 Check out more great ranches and horseback riding vacations for winter travel in the Equitrekking Vacation Guide and great ranches at Top20Ranches.com. For upcoming travel discounts, including on winter vacations, check out Equitrekking Travel Deals. About the author: Mary Katherine is an equine photographer and visual artist living in Birmingham, Alabama. Follow her on social media: Instagram: @marykatherinemorris Facebook: Mary Katherine Morris Photography. Visit her website at marykatherinemorris.com.